It is all around us, enveloping us. They keep coming like seemingly unending waves that belch forth their best candidates from both parties. The individuals rise up out of the sea building speed and power. The multitudes hanging on every word they speak as they roll towards landfall. We watch and listen from the shore to the voices of these men & women of great wisdom and leadership abilities. We watch and listen intently to try and discern who among them should lead us into our future. Who indeed is worthy to be our new champion? Their words are intriguing; their words are eloquent for they craft them carefully to win over our hearts and minds. As I look out to the sea I am reminded that they are not the waves themselves but merely the foam being carried forward by the power beneath them. 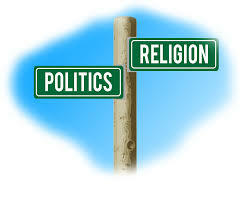 Religion and politics are strange bedfellows. No one wants to talk about either topic, but both topics are married to each other. That marriage in the future will spawn one man who will lead the entire world straight into the pit. People will be mesmerized by him and worship him because they will have no discernment. There is little difference between a political servant and a religious servant. Both claim to serve a higher power, both are given power over the people. I am reminded of the account in the New Testament Book of Jude verses 12 – 13. It is both a portrait of false prophets and a statement about the condition of potential leadership that is applicable to those that lead us in both politics and religion from the past, the present and into our future. Today more than ever we need discernment of our political leaders and our religious leaders. Too many send us false positives. The word discernment in its Biblical context means having the ability to see the Wolf standing before you in Sheep’s clothing. I remember getting a phone call a few years ago from my oldest son. He just had a test that indicated he potentially had a blockage in one of his arteries restricting blood flow to his heart. The doctor wanted him to go into the hospital for a heart catheterization to confirm the test results. It turned out that what was on his x-ray was only a shadow. His heart was fine…the shadow was a false positive. I wrote to you earlier about denominational displeasure. The fact is we are NOT one family of believers and that there are differences between us that divide us and break the heart of God. We all are not on the same road together to heaven. The God that created us all has said, “Come, Let Us Reason Together”. That statement is based on the FACT that His Word is the only place we find absolute truth for life, morality, science, history, family, relationships with each other and our relationship with God. The point being that our answers are not within us or the leaders we choose to guide us but only within the wisdom of God…not man. We pride ourselves on our democracy, yet we will live eternally in a Theocracy. Not only are we getting false positives from our political leaders but also from the church in general. One of the signs of the End Times is the growing apostasy within the Christian Church, a falling away from the ONE true Gospel. In this world Christians are called to battle for the hearts, minds and souls of people. When the lines for battle are clear, as in dealing with Buddhists, Hindu’s, Muslim’s, Scientologists, that’s one thing. But religions like Mormonism, Jehovah’s Witnesses, and Catholicism that use and distort Gods Word or add words to His Book, religions that wrap themselves up in the garb of the Church, religions of men that claim to speak for my God…those are the most insidious of all. They are the false positives bearing eternal consequences to people, lacking discernment; who have placed their faith and their eternal destiny’s into a lie. A shadow is growing over not just our nation but over the entire earth and the hearts, minds and souls of mankind. God judge’s the hearts of mankind, not man’s good works (for none of them is good). Our hearts were born into darkness and continue to live in darkness until God Himself in His Grace and Mercy to us ignites the fire of His Light and Truth within our hearts. He provides faith as a gift only to those who truly seek HIM through His Son Jesus. One millisecond after you die you will stand before JESUS alone; HE will have Fire in HIS Eyes and HIS gaze will search the depths of your heart of hearts. Then when JESUS looks deep into your heart of hearts, He will find the fire light of the Holy Spirit glowing deep within you because you are a True Child of GOD. Don’t be deceived by the false positives swirling all around you. Study the True Word of God contained ONLY in the Old Testament given to the Nation of Israel and the New Testament so you will know the truth and be able to discern the lie and not become a Self-Deceived False Believer. Any professed religious system having additional books contained in their bibles; does not represent the True God who made it CLEAR in Deuteronomy 4:2, Proverbs 30:6 and Revelation 22:18-20 that HIS CANON IS CLOSED ! ! ! There is a famine in the land, not one of food but of discernment.